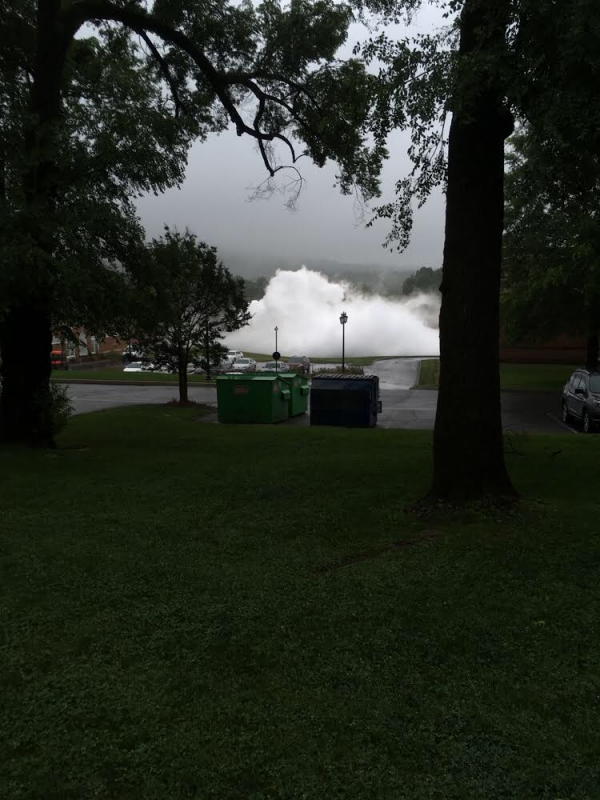 As roads continued to flood on Friday following the torrential rainfall Thursday evening, a significant gas emergency occurred on campus of Woodberry Forest School. 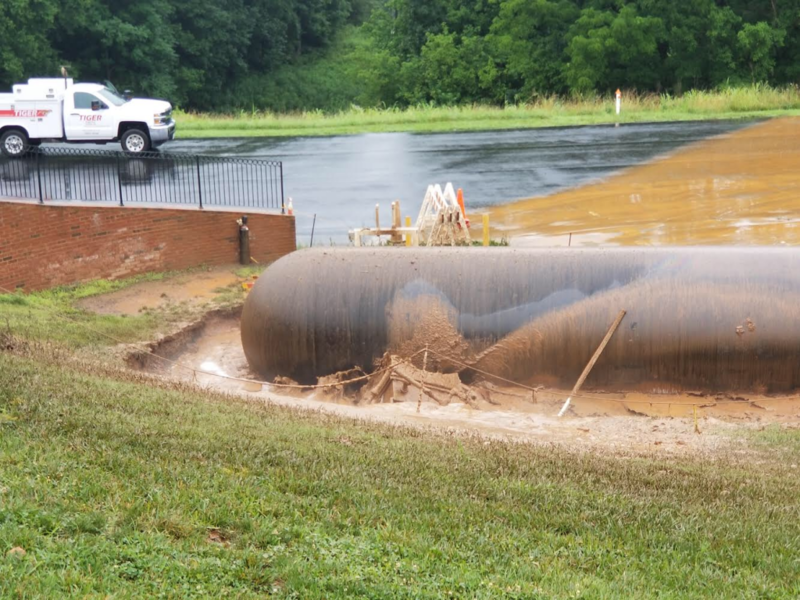 Gas professionals on campus were working on a tank that had become unstable after weeks of rain began to loosen the retention bands holding the tank underground. 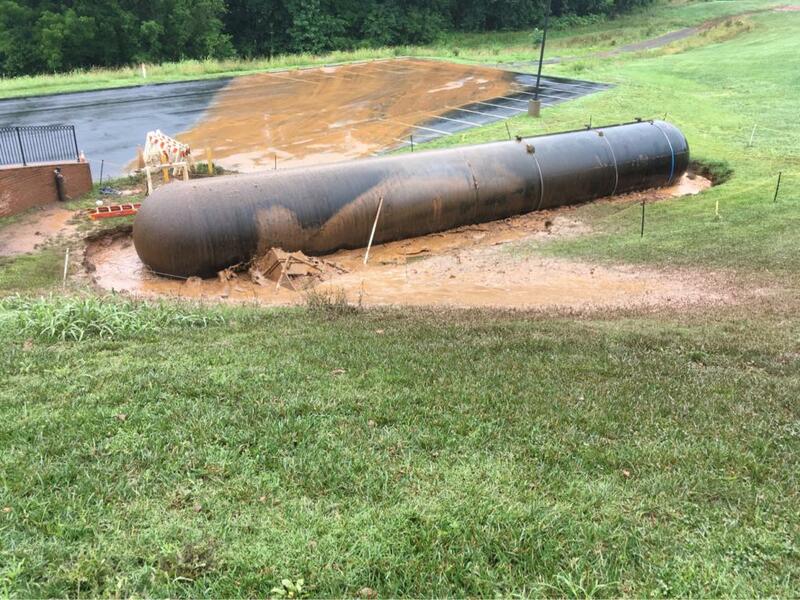 While working to repair a small leak that morning, the tank, a 30,000 gallon capacity propane tank, abruptly shifted and sheared off the main stem valve on the tank. Immediately, a large vapor cloud formed and 911 calls began to ring into the Madison County Sheriff’s Office. Not long after receiving the call, Madison requested Engine Company 23 to assist and also began making early notifications to VDEM for a regional hazmat response. Engine 23, Support 23 and Chief 23-2 responded in conjunction with multiple suppression pieces from Madison Fire Department. 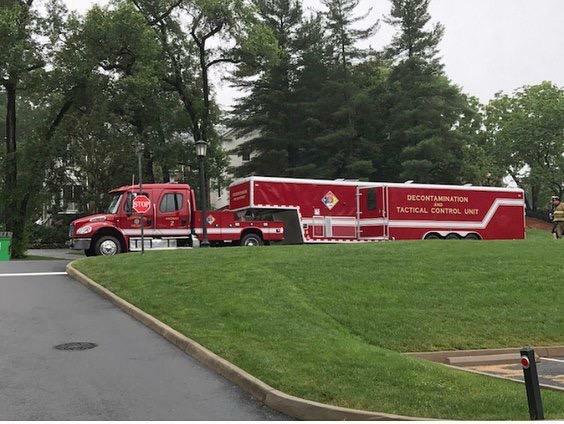 On site, staff from Woodberry were busy evacuating over 150 summer camp attendees, faculty and staff from buildings in the vicinity of the leak. As fire crews arrived they setup water supply off hydrants up hill of the incident and began monitoring and assisting with evacuations. 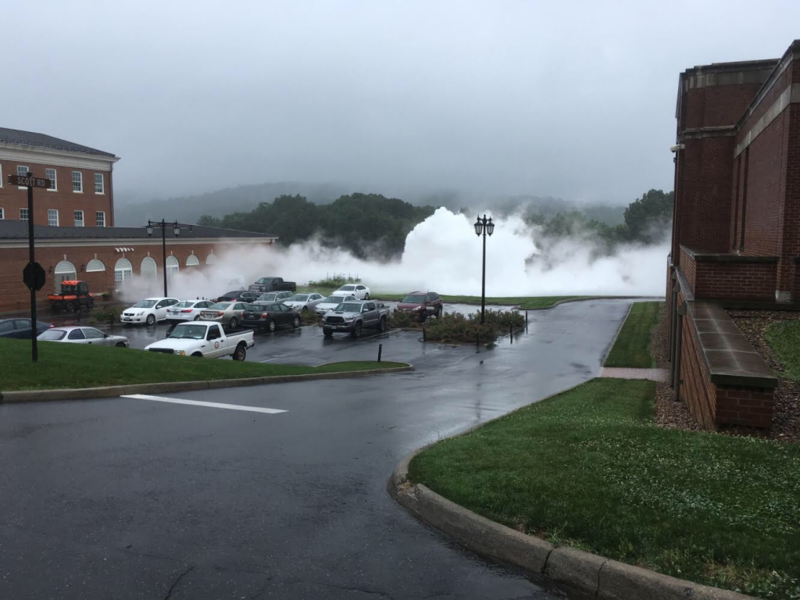 Thousands of gallons of propane filled the air in all low lying areas of the campus. 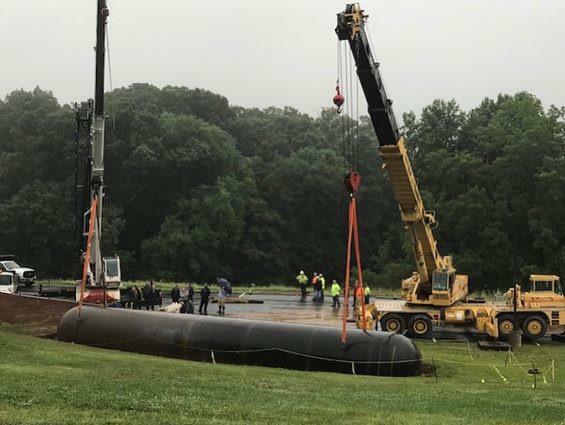 For hours, crews from Madison and Orange County assisted Hazmat Technicians from the Fredericksburg Fire Department and Virginia Department of Emergency Management while they managed the leak and worked to stabilize and properly upright the tank with two large cranes. Due to the volume of propane released (estimated 10,000 + gallons) other fire companies in Orange County answered multiple odor calls throughout the Town of Orange. No injuries were reported throughout the day. I was listening to our scanner, Friday morning, and was hearing about several hazardous road conditions causing unsafe driving conditions due to high water. Then...call after call started coming in about the smell of gas. OMG!!! Y'all did a wonderful job on Friday under very challenging circumstances. Thanks for being there for everyone who needed you. You proudly served Orange County and Madison County. Great people.